Police promote EFCC chairman Magu, 17 others – Royal Times of Nigeria. The Police Service Commission (PSC) on Friday announced the promotion of 18 senior officers. Amongst them is Ibrahim Magu, the acting chairman of Economic and Financial Crimes Commission. He was promoted to the rank of a full commissioner from deputy commissioner. 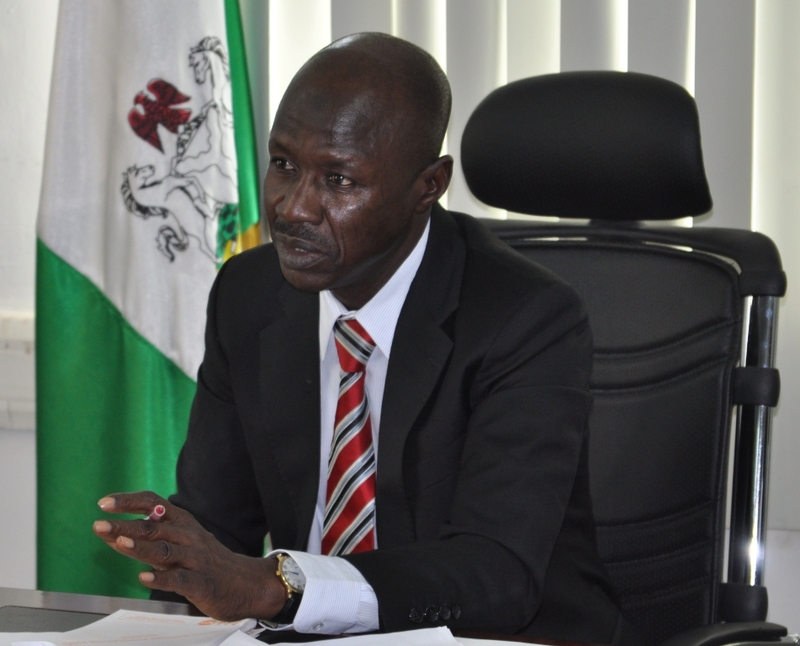 Mr Magu was appointed by President Muhammadu Buhari in 2015 to lead his administration’s anti-corruption efforts. But despite repeated nominations to the National Assembly, lawmakers declined to ratify his appointment, but the president said he would keep him in the position, anyway.